Robust: Blockchain is a robust system. It has not single point of failure since the information is stored as many copies throughout the system. Public: The general ledger of blockchain is public to everybody. There is no hidden transaction across the chain. Incorruptible: And as altering any unit of information would mean using enormous amount of computing power and would mean the person or organization would have to make it in less than 10 minutes (before the network reconcile) before the network reconcile itself. Blockchain is also incorruptible. Improve Process Efficiency to Brings Saving: Accenture analyzed eight of the world’s ten largest investment banks from how much blockchain would save cost in financial reporting, trade confirmation and compliance and conclude that all together, the banks would save US$8 billion to US$1 billion per year. It expects to cut financial reporting cost by 70% and other costs by 50%. What bitcoin brings, in the first place, is a better way to “re-event your own currency”. 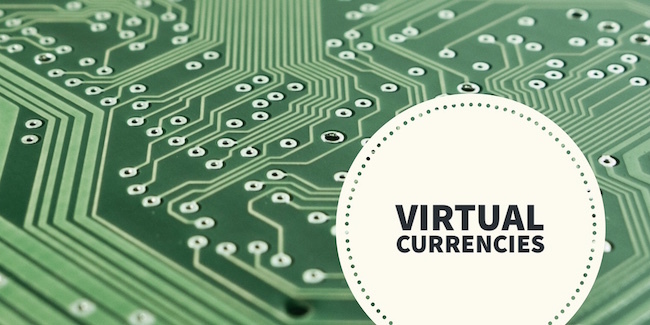 We have been using many forms of “currency” without seeing them in such a way, for example, our Airline miles are “currency”, we use it to redeem air ticket or other rewards with a set of conversion rates; our coins from the online games are “currency”, we use it to purchase virtual goods; free printing quote, put it in this way, any form of alternative currency can be migrated to blockchain and get the benefit of real-time reconciliation and lower transaction cost. Going beyond, it can of course by used as the backbone for an value exchange system, for example, meal voucher and other privileges we enjoy as a student on campus and can only be used on campus can be based on blockchain, we enroll as student to get access to the benefit and we redeem them along the way. And to payment service providers, the decision if to start offering blockchain solution is not very much different from the one they made not long ago on if to start offer mobile wallet solution; and the way of reasoning is similar as well. At the moment, offering such service can be expensive, as the supply of expertise is lower and thus the cost higher, the sales team of the organization may not know how to sell such service, many clients are asking but not many are willing to sign the contract. GMO Internet, the biggest players in the Japan’s IT infrastructure e-commerce and payment processing business, recently launched its own blockchain wallet. Alipay plans to implement block chain technology so it can process transaction in a cheaper way. When I read the news in search of hot names in the blockchain area, I found most of the organization attempting to test or implement blockchain are central banks, reserve banks, card schema and switch, which are more or less all central clearing systems. But wait a second, would not the blockchain’s top 1 characteristics be “decentralized”, which means all the above will be out of business soon? What is more odd about it, is that companies that benefit from blockchain the most, say investment banks, airlines, insurance, merchants that owns their own large-scale ecosystem that could have their own community currency (Hospital, university etc) are not leading the changes. Here I will ask you to imagine, what do you think the world of credit card will be if back when it first emerges, it is the actual users, which are the consumers and merchants, who have taken the lead and created the rules. Will there be card schema charges? Will there be various spending limits in such a complicated way and change so frequently? Will companies be fined for breaking the regulation that was created out of no systematic research and data to support them? I hope you can imagine, probably you can’t. Because we have been programmed to not to. And the same programmers (well, actually the descendants of them) are programing us now. And in terms of the programers, I don’t mean any organization or big and fat conglomerates, I mean our human nature: it is always fear of losing the existing benefits that supersede the benefits that take a cost and effort to gain, and thus it is always regulating parties that has more motivation than users, the bigger more motivated than smaller; and after the incumbent players finish writing the manual and agree on how they would secure their survival and profits, we take the manual and make money for the system with our labor. But we don’t need to be angry about it, as all of these is part of us. Satoshi Nakamoto’s famous article “Bitcoin: a Peer-to-Peer Electronic Cash System” is just a perfect reflection: the word “Peer” is singular, it didn’t say “Peers-to-Peers”, while it could perfectly have done that; however, throughout the article, the author(s) has been using the word “we” which somehow indicate Satoshi Nakamoto is not a “he” or a “she”, it is likely “they”. 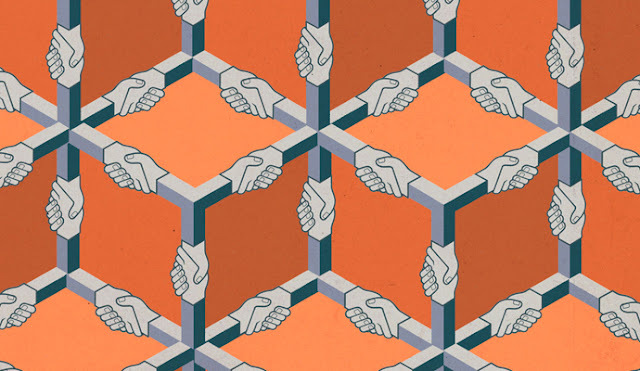 So don’t take it in a bad way, blockchain is a creation of our society, who choose to involve, who want to regulate and how to make alliance among different stakeholders to jointly regulate it; when to involve, how to use, is very much a fluid concept. And regardless in the short, medium or long-term, it is by design. Nevertheless, what blockchain does enable are new forms of collective intelligence, not in the form of country, the form of religion, the form of company or the form of regulatory bodies, but in the form of visions, products and services. I invite you to think, as much as visions, products and services are often associated with the forms, they don’t have to be, the only thing it needs are measurable skills, common trust and tradable rewards. And that is what blockchain enabled.